Geocaching is described as ‘the world’s biggest treasure hunt’ and if you aren’t already a geocacher you can watch a film that shows you how to get started here. Geocaches are everywhere, I was surprised when we started to find out there was one hidden at the end of my street. Around 2,700,000 geocaches have been listed – that is an awful lot of ‘treasure’ to find. Geocaches are hidden items that come in a variety of shapes and sizes. 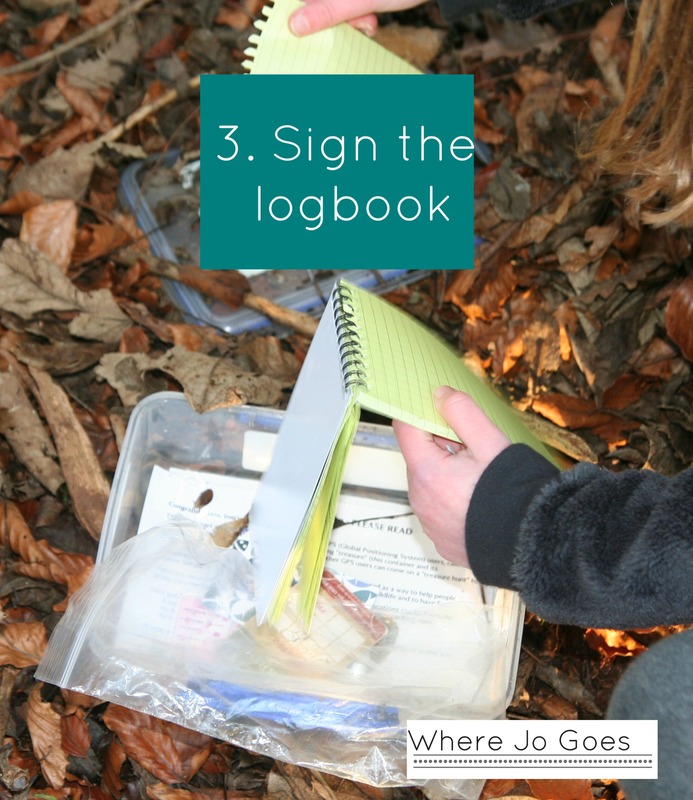 The standard ‘cache’ is a box that contains a log book for you to sign when you find it and may contain small toys that you can swap . It can also contain ‘trackables’ which come in different forms. You log the trackable online when you buy it using the unique code on it. You drop it off in a geocache and the finder logs it online before dropping it in a different cache. You can track the trackable’s progress online . Some trackables have a mission that the owner wants them to achieve such as to reach a specific and you can help it on its way. Other geocaches can be micro – very small caches about the size of a film canister (showing my age…) normally with a small roll of paper and pencil inside but not much room for anything else. Nanocaches are tiny magnetic caches and sometimes have tightly wound roll of paper inside but nothing else. Other cache variations include virtual caches solved through co-ordinates, caches solved by puzzles and various others. Wikipedia has a good guide to the type of caches here. We found a lovely book geocache in Crantock, Cornwall that was a library cache full of books you could borrow or you could drop off a book for others to read. In our family we like the good old fashioned standard box cache. They are easier to find than micros and nanos and more straight forward than co-ordinates and puzzles. They are also more likely to have log books, small items to trade and trackables so are popular with kids. You can either search via the app for a specific destination or for nearby geocaches. You select a geocache to find and off you go using the gps on your phone to navigate to the cache, following the instructions. We find it helpful to read the hints which can give you a clue as to the whereabouts. 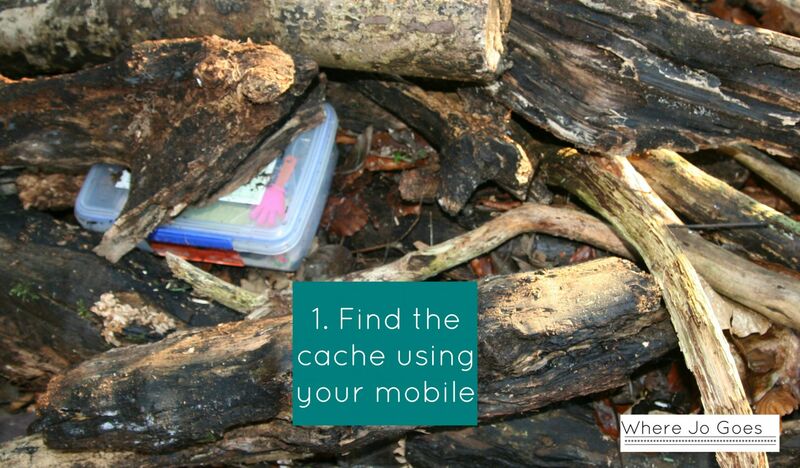 Especially helpful if the cache is hidden in tree roots, in a wall, under stones etc. Check as well when the cache was last found in the comments. We tend to choose ones with recent finds where the know the cache is likely to be still in place. If the cache is missing or there is an issue with it its likely to say in the comments. You need mobile data when you are out to navigate to the cache. You can save the cache details offline in advance if you want to. 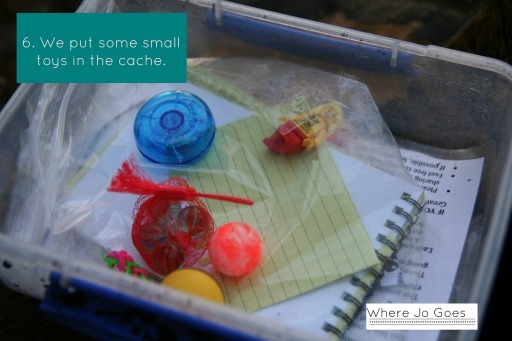 When you find the cache, you can log online that you have found it and leave a comment. I took these pictures of us geocaching at Tyntesfield, a National Trust property near Bristol with lots of geocaches hidden in the grounds. The cache we were looking for was number 8 of a range of caches available to find there. We followed the navigation via the mobile and found it off a path hidden under a pile of branches. 2. DDS were pleased, it was an easy and fun cache to find, near the childrens playground. It took about 5 mins to find after we looked on the app for the nearest cache. 4.DD had a lego trackable figure she had been given as a present (great gift). 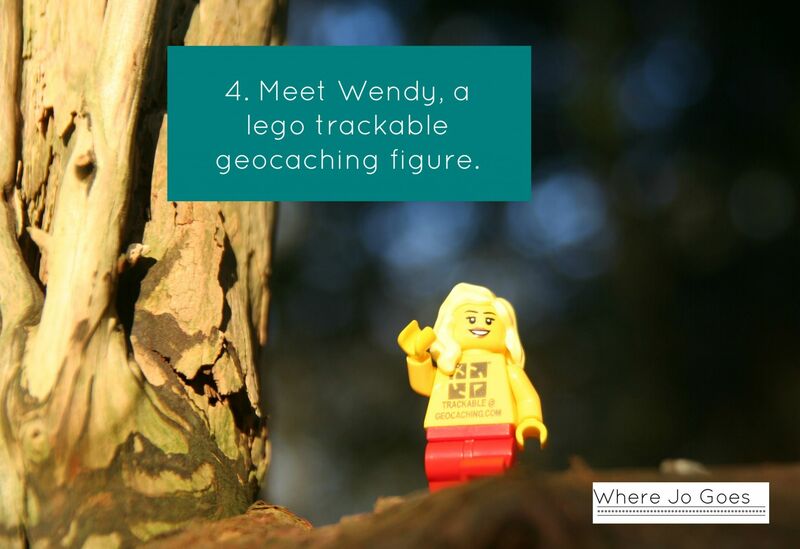 She named the figure Wendy and our plan was to drop Wendy into a cache. Wendy has a number on her back so that she can be tracked online when she is found. The finder will then put Wendy in a different geocache. DD has decided that Wendy’s mission is to travel to Hawaii. Will she make it? #Where’sWendy? 5. As well as dropping off Wendy, we picked up a trackable from the cache. We logged it online and dropped it in a different cache on another day. 6. We put some small toys into the cache. Often you can swap but there were no toys in the cache to swap with. We carry a small bag of little toys out with us to put into caches. This cache was a particularly good one as it was easy to find and contained the travel bug . Kids were happy, it had extended our walk at Tyntesfield and we wait with baited breath to see where Wendy ends up. Our kids love it. Its a treasure hunt – whats not to like. 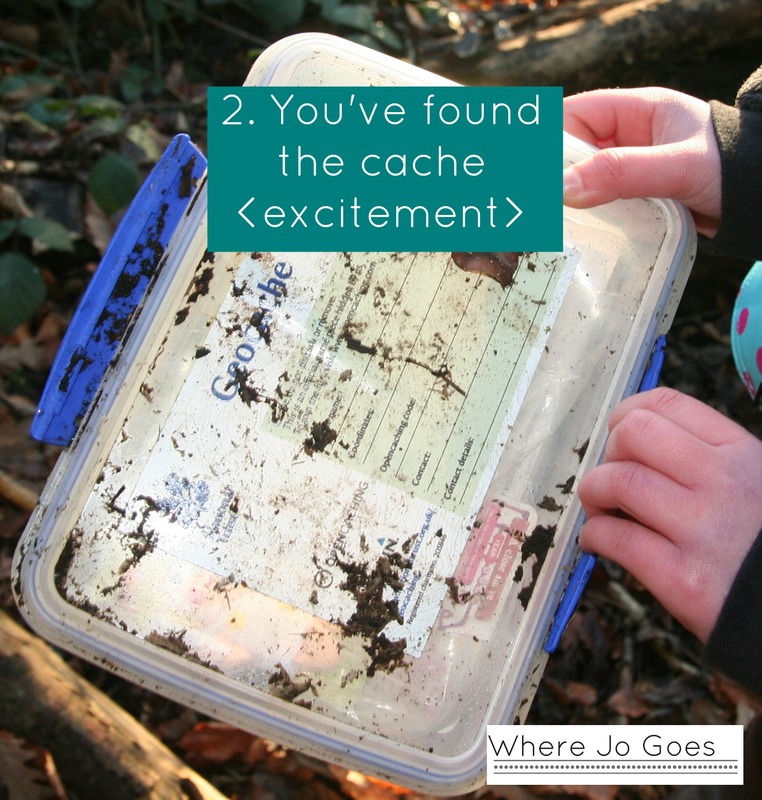 Even if all you find is a box with a log book, the whole process of finding the cache is fun. It gets us out and about and gives a purpose for going for a walk. “who wants to go for a walk”? no answer? “who wants to go geocaching?” kids rush to get their coats on. Its free. You can pay a few pounds to upgrade to a premium geocaching service if you want to. Its easy. Download the app. Search for geocaches – off you go. 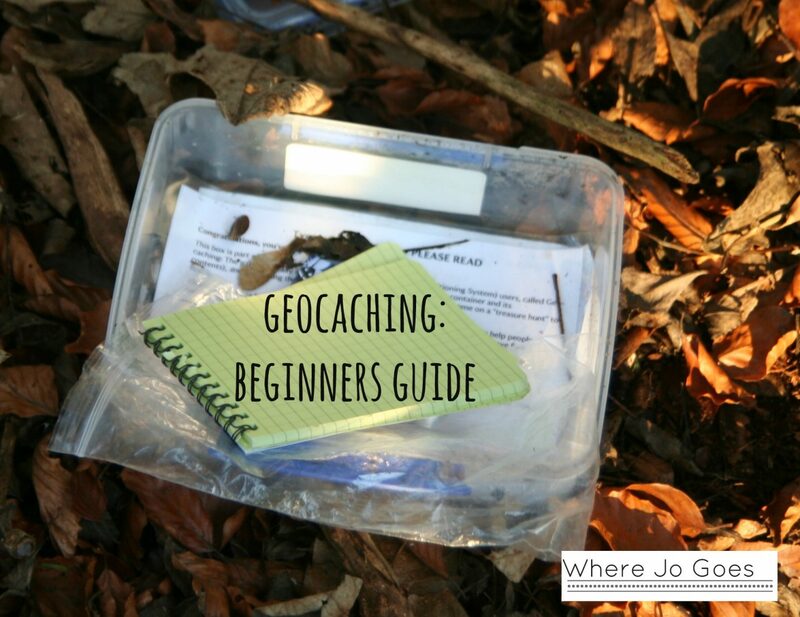 Leave me a comment and let me know whether you have tried geocaching and your tips and best finds if you are a seasoned pro! This post is in no way endorsed or sponsored by any of the organisations mentioned. All views are my own. Great blog. As the owner of the Starry Angel Travelbug that you found, I am going to be biased 😉. My 5 year old just exclaimed that she it was her Travelbug on your blog with great excitement. For tips on where to go, there are nice walks we found in the following places – Yorkley in Forest of Dean, Rowberrow near Cheddar and Avening in the Cotswolds. Good luck to you and Wendy! We love the starry angel, what a find! We didn’t realise at the time that we were the first to find her #lucky. We took some pics of her by the sea and in the cache where we hid her which I will send you. Thanks for visiting where jo goes and being our first comment! Happy geocaching! GeoCaching is something we haven’t yet tried but I’ve seen a lot written about it. I like the detail in your post and it’s definitely something I’m going to do with my children this year. Best of luck with your blog, no doubt we’ll be bumping into each other throughout our blogging journeys! 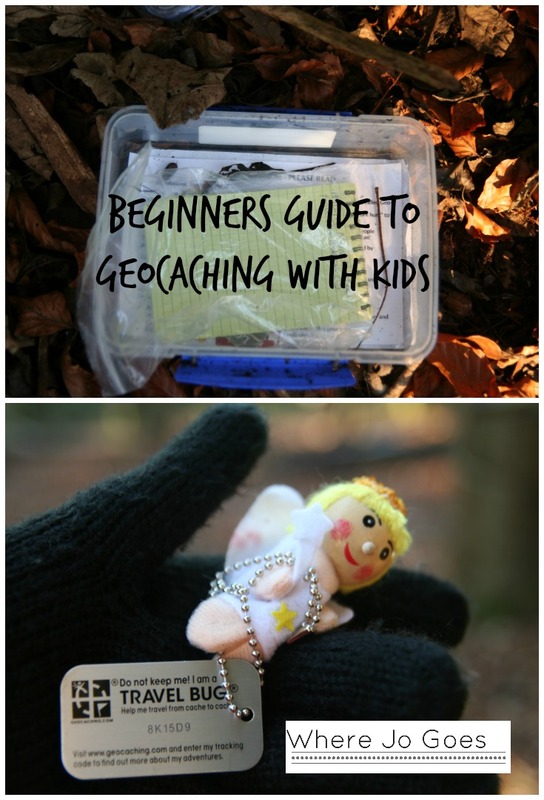 Thanks we find geocaching is such a great way of getting the kids outdoors! Now that seems like a whole lot of good reasons to enjoy geocaching to me. My kids have been with scouts but we’ve not tried it as a family. I do agree that you need something to engage kids on a country walk and this is a fun idea, after all treasure hunts are always popular. I love the idea of Geocaching with in a National Trust property, great scenery, gardens and treasure to find, bargain! Thanks it does add an air of excitement to a walk and they ate everywhere so don’t need to go far. We’ve been doing Geocaching for years, and I occasionally run Geocaching activities for local school and youth organisations. It really is a superb way of getting kids motivated to explore the great outdoors. It may sound bizarre though, but I’ve never tried Geocaching on my phone (never even considered it, to be honest…). Instead we use a GPSr device, which is more robust, accurate and means that the kids don’t hog my mobile when we’re out and about. 😉 Of course, these are quite expensive so if you aren’t going to use the GPSr for other activities (hiking, mountain biking etc) it probably isn’t worth buying one. Nice intro to Geocaching, thanks! We haven’t been geocaching for years now but I do really miss it and hope we can do it again someday. Our trackable ‘Pirate Bob’ has travelled many miles around the world though and I like to check up on him every now and then. That’s fantastic that Pirate Bob is travelling the world. I think our trackable is still waiting to be discovered! Thanks for reading. It’s great fun with kids and they are literally everywhere! Thanks for reading. I’m hearing about geocaching for the first time in your blog. I’ve just watched the video and it looks very interesting. It’s a lot of fun and because they are everywhere you can do it wherever you are! A fellow cacher! Thanks for reading. Thanks for reading. Yes it’s great for kids, it’s free and you can do it anywhere. Perfect! Yes snow could be a hazard! My stepmom is into this and told me about it a long time ago, but we’ve never actually tried to do it! Maybe we should start! Thanks for linking up with #TheWeeklyPostcard! I was really surprised when I found out how many geocaches there are too. It’s also not that easy to find some or at least there have been several that I haven’t been able to find. Thanks for sharing on #TheWeeklyPostcard. Great post. I just thought today that it would be fun to blog about our geocaching. We’ve not been in a long time, but you’ve inspired me to get back at it. “Back in the day,” Rob would head out with a compass for Orienteering competitions, and it was a challenge! So he was a bit of a snob about GeoCaching – you know, modern technology and all making things too easy. But even he admits it can be a lot of fun, and still challenging. Good stuff! Thanks for sharing on #TheWeeklyPostcard! We did a little caching yesterday but I can see that for the orienteering minded it makes it too easy! Thank you so much for stopping by 'Where Jo Goes'. I love chatting about all things family friendly travel related whether it be holidays, vacations, staycations or days out. I'm always interested in hearing about other people's travels and that inspired me to share some of my own whether they be 5 minutes away or 5000 miles away.